Day1，Your guide meet you at the airport and transfer you to the hotel , and check in, you have some time to walk around the hotel and in the street. 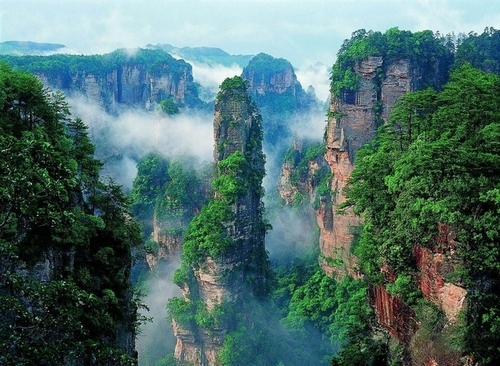 Day2，Zhangjiajie is famous for its exquisite forests, which are home to huge, leaf-covered stone pinnacles that rise right from the level ground. Get ready for some jaw-dropping panoramic views on your hiking adventures. 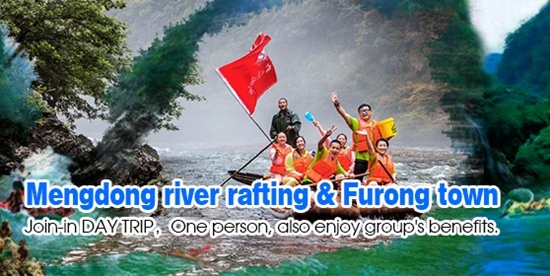 Today attractions: Golden Whip Brook,Yuanjiajie-the heart of world natural heritage site, Tianzishan natural reserve. You start Zhangjiajie adventures at Golden Whip Brook which is reputed as the most beautiful canyon in the world and also your tour guide will tell beautiful story about the golden whip related to China first emperor and Great Buddha -Guanyin.,3 hours hiking come to an end at Shuiraosimen (four streams converge here), Bailong elevator-world engineering wonder locates here, which outstands as the world tallest one with the height of 326 meters,it take 1.58 seconds to transport tourists from the bottom to the Yuanjiajie top exhibiting unbelievable and fantastic views. Tianzishan means Kings mountain in English, because its Tujia minority chief-Xiang Dakun uprising in Ming dynasty 500 years ago recorded in the history. Xiang Dakun is honored as a king. 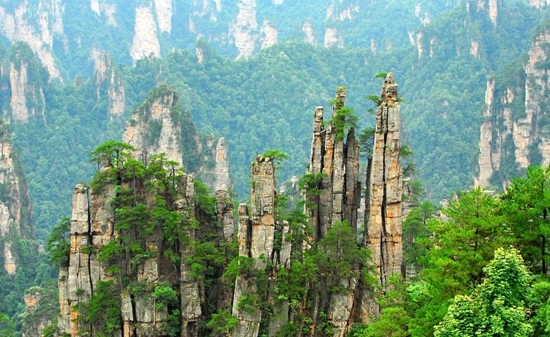 In Tianzishan the huge forests of pillars stand foursquare against the distant blue hills, announcing themselves to be the very treasures that Unesco declares them to be. 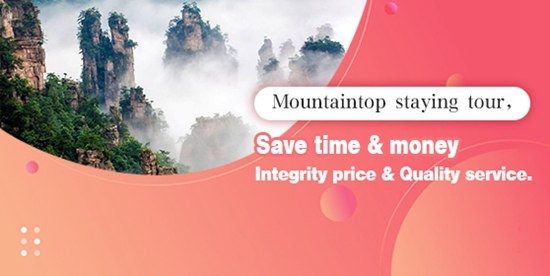 Tianzishan present itself in distinctive shape, geological speaking, and the rock formation is older than that in Yuanjiajie, you will have fantastic experience of stunning views, against the backdrop of sunset the Tianzishan cable transport you down the mountain and return to your decent hotel. 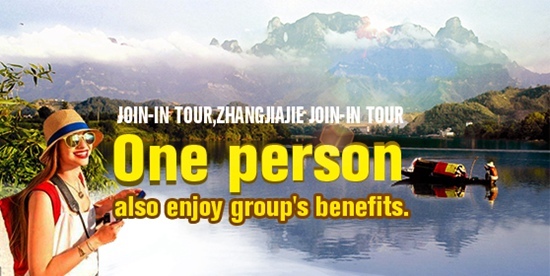 Zhangjiajie admission ￥228 for 4 days, Bailong elevator ￥72. one way, Tianzi mount cable car ￥72 one way. 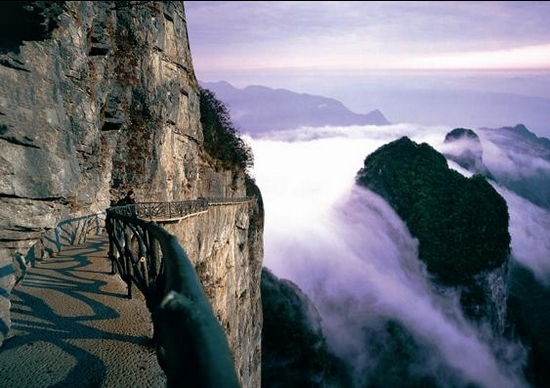 Day3，Today attraction: Huangshizhai, in English yellow stone stronghold, the largest view stand in Zhangjiajie, there are numerous lookout points for stunning views, from whichyou can see nearly half the peaks of Zhangjiajie,there is a popular .saying goes like that .if you don visit Huangshizhai, you can claim you have come to Zhangjiajie. Story telling about the mountain by your guide is a lot of fun. 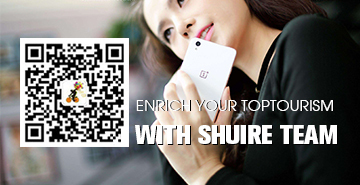 You can have convenience of cablecar in Huangshizhai. 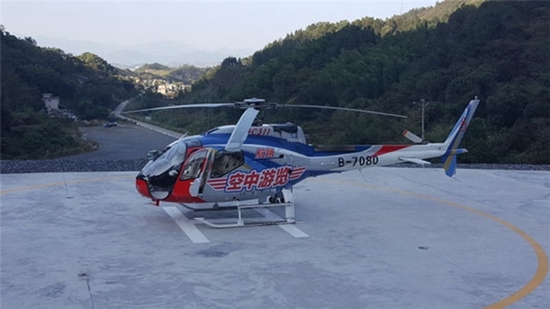 Hike at Huangshizhai is a great challenging opportunity (flexible according to your hiking ability).your unforgettable trip ends in the afternoon, and transportation to Zhangjiajie airport. Huangshizhai cable car ￥65 one way.